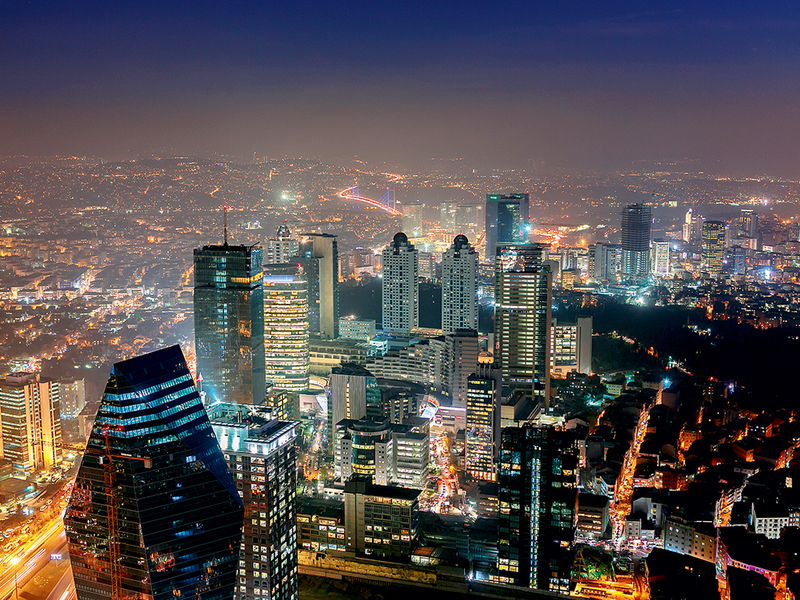 Istanbul is a thriving business destination. The financial capital of Turkey, the city plays host to continually expanding facilities, a mass transportation system and a number of high quality hotels, as well as several conference and convention venues. Comprising 39 district municipalities and with a population of 14.2 million, it is perhaps unsurprising that Istanbul has been voted as the world’s ninth most cosmopolitan city by The Ultimate Urban Guides 2014. The diverse city accounts for close to one fifth of Turkey’s population and one third of its economic output. Istanbul contributes $301bn to Turkey’s GDP each year and, being the country’s largest industrial centre, approximately 35 percent of the country’s industrial labour is employed within the city. As the nation’s unquestionable leader in job creation, Istanbul is renowned for being Turkey’s most influential city – socially, economically and culturally. Istanbul is home to some 606,000 students studying across 49 universities, giving it the youngest population of any European city, according to Eurostat. This number of high-quality educational institutions, teamed with celebrated cultural diversity and an enviable lifestyle and climate, has transformed the region into an internationally recognised hub for young professionals. The city is a natural gateway between the European and Asian continents. Divided by the Bosphorus Strait – one of the world’s busiest waterways – Istanbul’s natural beauty and rich history of over 8,500 years is seamlessly combined with a modern capacity for trade and productivity. The city’s exciting atmosphere stems from its unique union between traditional splendor and contemporary infrastructure; a combination that makes it an ideal place to meet for business. Named in 2013 as one of the world’s top 10 congress destinations, as well as the world’s number one congress destination with more than 500 delegates, by the International Congress and Convention Association (ICCA), Istanbul has the capacity and the charm needed to host any business event. With venues that can seat up to 30,000 participants, the city has truly earned its ICCA position as the eighth best congress destination in the world. As the host of 409 tradeshows during 2014 alone, Istanbul is quickly climbing the global ranks as an influential meeting spot. The metropolitan city boasts over 170 four- and five-star hotels, with an overall sleeping capacity of almost 94,000. This number is set to increase by 47,000 in the coming months as more hotels, including several internationally recognised brands, are constructed. Tourism in Istanbul is a major contributor to the country’s economy, with over 11.8 million people visiting the city annually. This high volume of travellers makes the city the sixth most popular destination in the world, in addition to being the most popular travel destination in the world 2014 as voted by TripAdvisor. With seven convention centres and three exhibition spaces, Istanbul offers three separate but combinable congress venues across the airport district, the Congress Valley and the Golden Horn. With unique incentives afforded by its historic attractions, Istanbul presents meeting planners with a variety of remarkable options for creating truly outstanding events. Few other cities in the world are fortunate enough to boast a series of attractions dating from the fourth century, as well as sanctuaries from three major religions. With airports on both the European and Asian sides of the city, Istanbul is accessible from anywhere in the world. Served by nearly 300 international airlines – including its own Turkish Airlines, which flies directly to more than 260 destinations from Istanbul – the city is within six hours’ flying time for over two billion people.